With cutting edge technology and research, iSect the Non Circular Turning Machine has become the first Indian Machine, specially designed for Aluminum Piston Oval Turning to help users to cope-up with various national and international standard norms. Electro Spindle with C Axis : High power electro spindle with quick acceleration / deceleration. Hydraulic disc brake in C-Axis. Y-Axis : Special linear motor on Y-axis for maximum dynamics and accuracy. 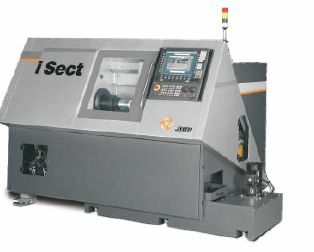 Turret & Tailstock : I Sect is available with standard tail stock & optional 4 station tool turret for jobs like Diesel Engine Pistons with Cast Iron Piston Rings. 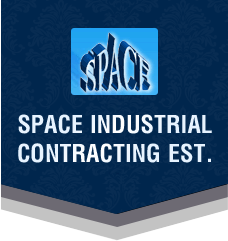 Changing of tools allows using different tools for different surfaces and thus saving tool life. POTS (Piston Oval Turning Software) : POTS is a programming software by JYOTI, exclusively used for programming Piston Oval Turning. This software can be used to create almost all type of Piston Profiles. The programs created in POTS can be verified by the graphic display of Piston Profiles.